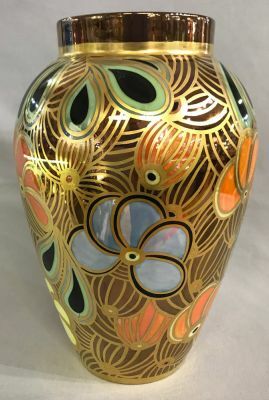 Art Deco Limoges vase, circa 1930. Hand painted in multiple colours and copper lustre, with gilded outlines in a cloisonné fashion. Made by L. Bernardaud & Co., Limoges, France. Signed H K.
11 1/4” high, 7 1/2” diameter.